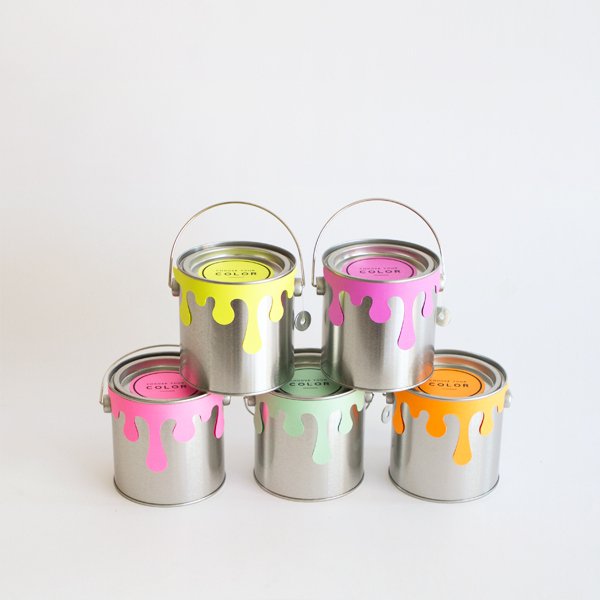 We are in love with these Mini Paint Cans in the shop and so we thought we’d come up with a cute way to dress them! 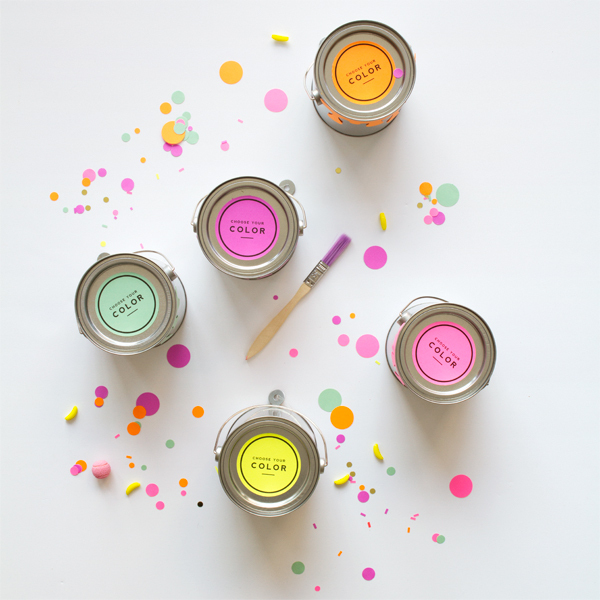 These would be perfect for an art themed or craft party but are versatile enough to fit any celebration, especially if you’re a lover of color! 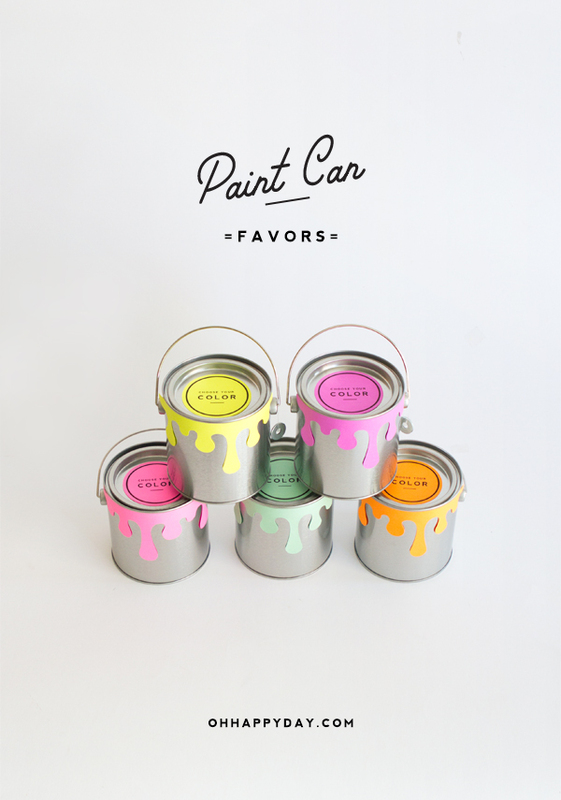 Guests get to take home a can of goodies in their favorite hue! 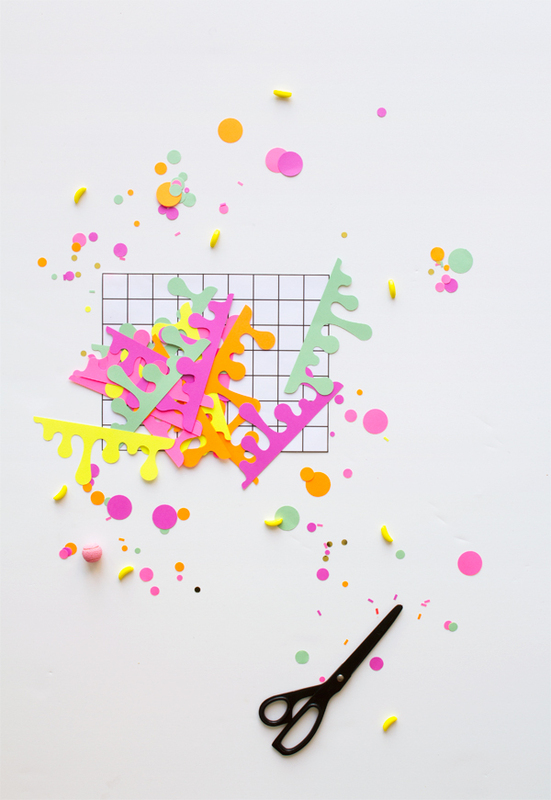 Step 1: Download free printable and print onto colored card. 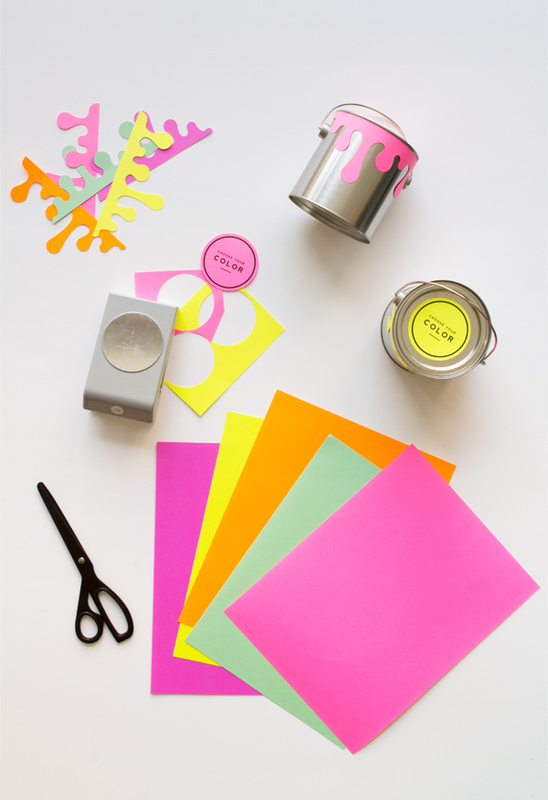 Step 2: Cut out the paint drip carefully with scissors and use a 2.5″ circle punch to cut out the circle label for top of lid. If you don’t have a circle punch, simply use scissors. Step 3: Attach drips to rim of can using double-sided tape. Step 4: Attach circle label to top of can using double-sided tape. 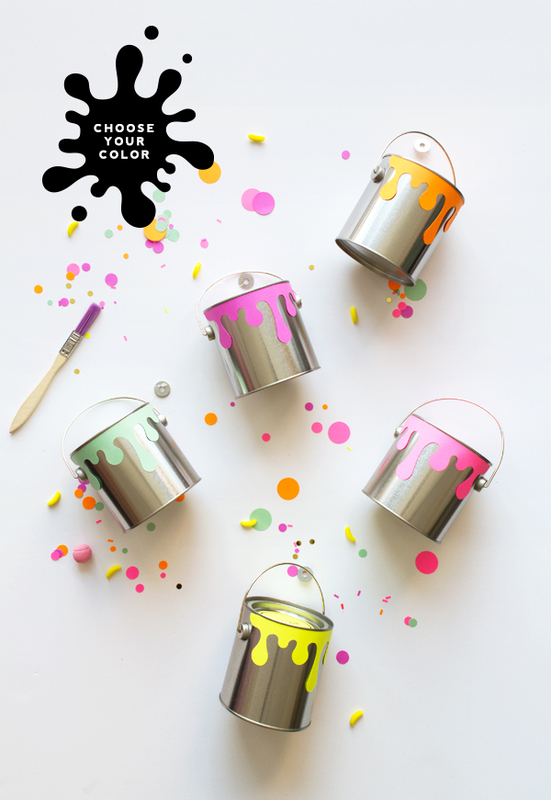 Step 5: Fill the can with monochromatic goodies matching the exterior color used on can. These are so adorable! So much inspiration and creative mojo when I come to your blog! Love this idea! 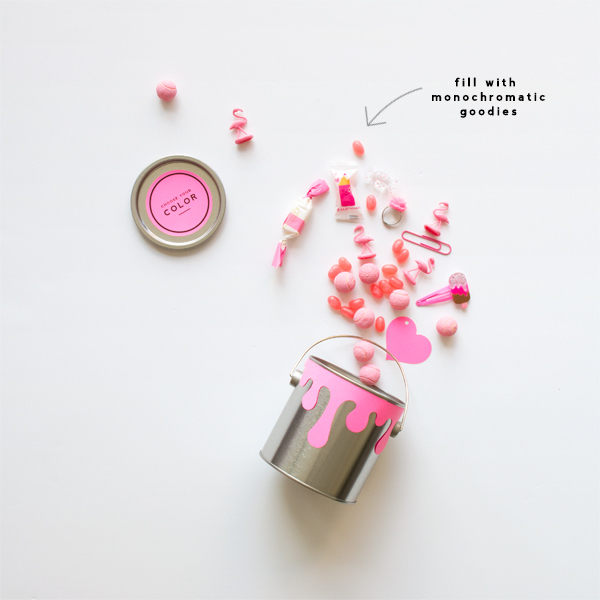 Mini anything is adorable and these paint cans are too cute! These are color cuteness wrapped up in one of my favorite containers! These favor cans are so fun! I love them! for some reason i love a wee paint can pencils and pen holder on our house desks. they say ‘get busy writing something!’ and look fun. What a darling little idea! They look so realistic. So creative Keep on making magic. Please take a peek at our new wedding blog http://www.thebohemianwedding.com for inspiration on boho weddings.